Half Octagon Shape with Generous Work Surface. 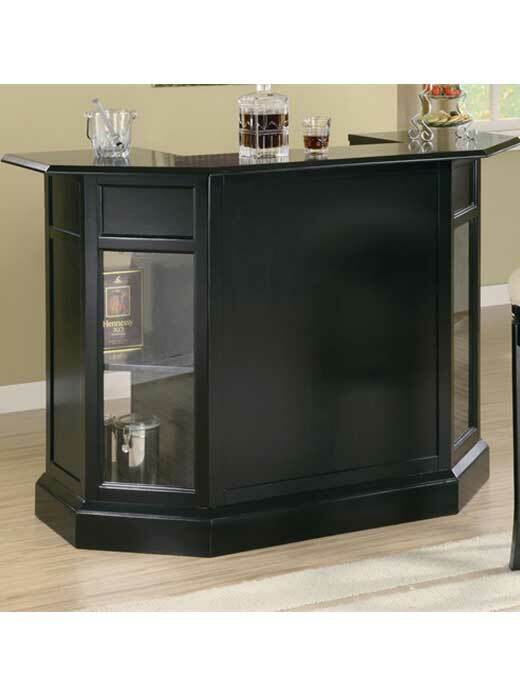 The Inwood Bar can transform your entertainment room into a sophisticated contemporary space where friends and family will love to gather. 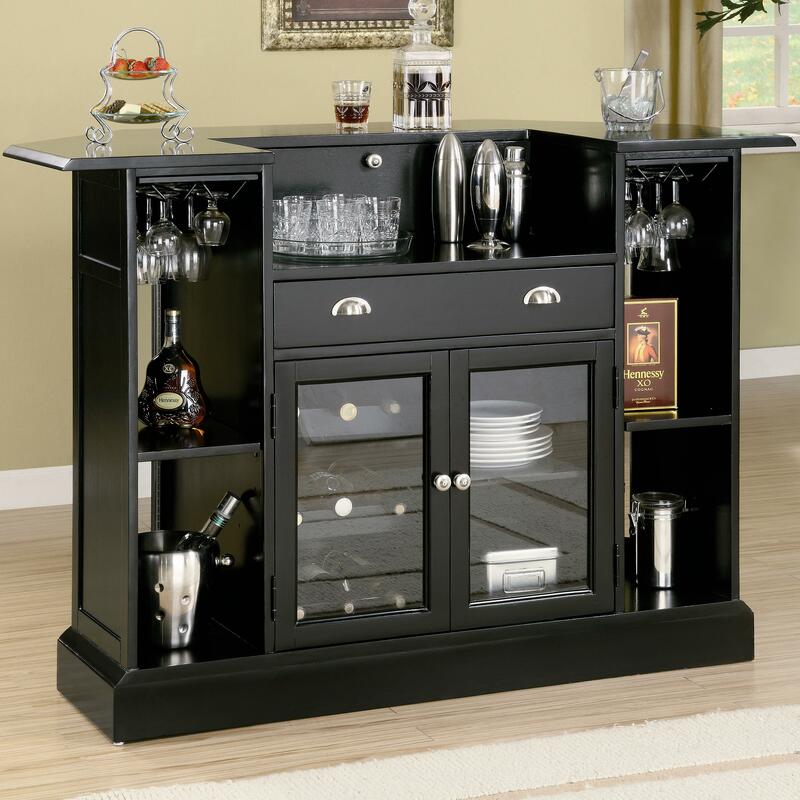 This sleek bar unit offers clean lines, spacious storage and organizational functions, and comfortable details for everyday use. 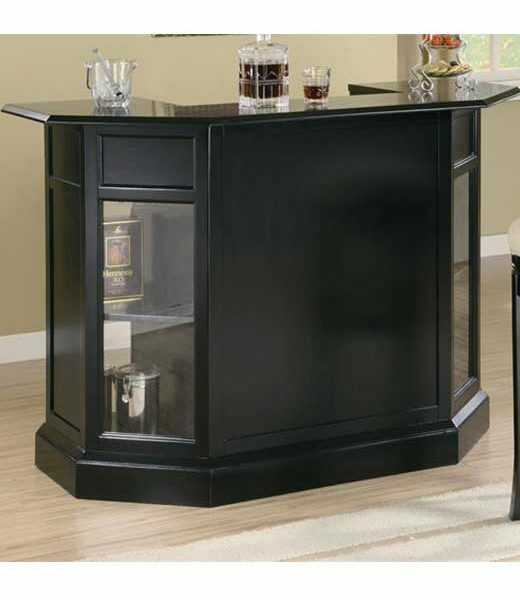 With a rich dark wood finish, this Bar will blend beautifully with your home decor for a fun and stylish ensemble. Bar accessories shown in the photos are not included. Case Detail Clean lines, square slightly splayed base. Description: Top Smooth top with beveled straight edges.